Dean Nicholas Giordano recognized several COSAM faculty and students at the 2016-2017 Dean’s Research Awards ceremony on April 19. The awards, which began in 1997, recognize outstanding achievement. 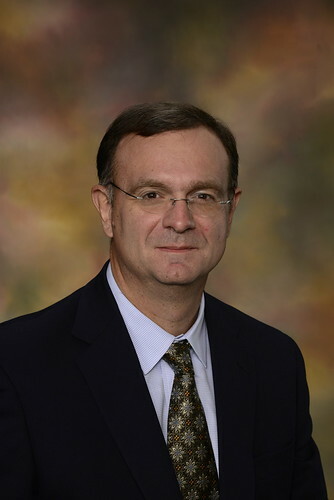 After service in the United States Army as a UH-60 Blackhawk crewchief and flight engineer, Bond received a bachelor of science degree in biology from Western Carolina University in 1993, and both his master of science in biology and his doctor of philosophy in evolutionary systematics and genetics from Virginia Polytechnic Institute and State University (1999). After completing his degree, he was a postdoc at The Field Museum of Natural History in Chicago before joining the faculty at East Carolina University in Greenville, North Carolina, prior to coming to Auburn. In 2011, he joined COSAM’s Department of Biological Sciences as a professor and director of the Auburn University Museum of Natural History. In this role, he contributed to the planning and construction of the Biodiversity Learning Center, a 15,000 square-foot facility dedicated to the museum’s natural history collections, and coordinated and oversaw the transfer and organization of each of the university’s natural history collections from various locations around campus to the newly constructed Biodiversity Learning Center. Bond also oversaw tremendous growth of the museum during his tenure as director, including additional collections, staff, and curatorial positions, as well as the addition of the Alabama Natural Heritage Program. In January of 2016, he assumed responsibilities as chair of the Department of Biological Sciences. Over the course of his career, he has published over 80 papers–30 since joining the Auburn Biological Sciences Faculty in 2011. His work has appeared in a broad spectrum of journals to include Nature, Systematic Biology, Molecular Ecology, and The Journal of Biogeography. A recent paper, published in the journal Current Biology with graduate students and other collaborators, nearly single-handedly overturned decades of thinking regarding spider evolutionary history and the evolution of their webs. Programs at the National Science Foundation, National Geographic Society, U.S. Fish and Wildlife, and the U.S. Forest Service fund his work in arthropod ecology, evolution, and systematics; his current funding portfolio includes grants from three NSF programs (Expanding Frontiers, Division of Environmental Biology, and Integrative Organismal Systems) as well as other private, federal, and state agencies. While much of his work happens locally, Bond also travels extensively; he has conducted fieldwork throughout the world to include the American Southwest, Central America, Australia, South Africa, Namibia, Angola, Australia, Malaysia, and Mexico. 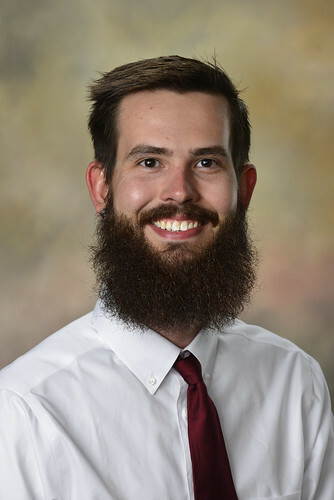 Edward Burress, a doctoral candidate and graduate student teaching assistant in the Department of Biological Sciences, received a Dean’s Research Award. Burress was born and raised in Asheville, North Carolina. He received a bachelor of science in biology and psychology from Lees McRae College, and subsequently a master of science in biology from Appalachian State University. He then joined the Auburn family in 2012, studying the evolution and ecology of South American fishes with his mentor, Jonathan Armbruster, director of the Museum of Natural History and professor in the Department of Biological Sciences. Burress’ research on the phenotypic evolution of cichlid fishes has led to the discovery of a novel example of parallel evolution in two pike cichlid assemblages in the Uruguay and Paraná Rivers, which have diversified into similar suites of ecomorphs associated with specialized diets. 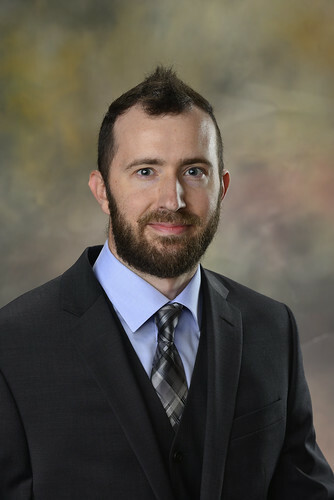 His work has been published in peer-reviewed journals, and he has received multiple awards for presentations of his research at national and international conferences. Burress has served as a teaching assistant throughout his graduate career, including laboratory and lecture courses for ecology. While at Auburn, Burress met his fiancée, Pamela Hart. They will marry April 22, 2017, in Asheville, North Carolina. Upon his anticipated graduation in August 2017, Burress will continue his journey through academia as a postdoctoral fellow. Asanka Jayawardena, a graduate research assistant and doctoral candidate in the Department of Physics, received a Dean’s Research Award. He earned a bachelor of science in physics from University of Colombo, Sri Lanka, in 2010. In fall 2012, he enrolled in the physics doctoral program at Auburn University. Furthermore, he earned a master’s in physics in May of 2015. Upon successfully passing the General Doctoral Examination in the fall of 2014, he started working on the physics of wide bandgap semiconductor materials and devices, with his mentor, Sarit Dhar, assistant professor of physics. His research focuses on two different wide bandgap semiconductor materials: gallium oxide (β-Ga2O3) and silicon carbide (4H-SiC). Presently, he is working as a research assistant on a project supported by Texas Instruments Incorporated in Dallas, Texas, on the “Development of next-generation 4H-SiC trench metal oxide field effect transistors (MOSFETs).” In addition, he is studying the characterization of bulk traps and interface traps using the deep-level transient spectroscopy (DLTS) system. Furthermore, he is investigating the electrical properties of oxide/β-Ga2O3 interfaces, which will enable the development of practical Ga2O3 MOS devices. His work has been published in peer-reviewed journals, and he has given presentations at several conferences. Jayawardena is wrapping up his ongoing projects while he is looking for a postdoctoral position for the continuation of his research. 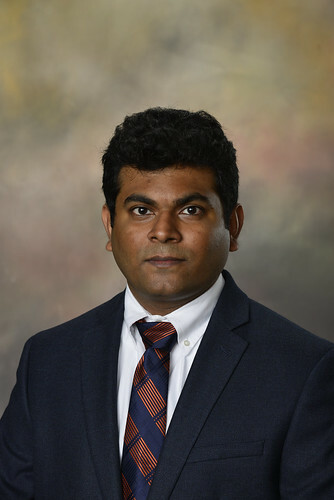 His wife, Ganesha Weerasinghe, is a doctoral candidate in the Department of Mathematics and Statistics at Auburn University. They are the proud parents of a son, Sawain Jayawardena. Dean’s Research Award recipient Phillip Pearson received a master of science from the Department of Biological Sciences in December 2016 under the mentorship of Assistant Professor Dan Warner. He is a native Alabamian from Red Bay, a small, rural town in the northwestern part of the state, where he grew up on a small farm. He is a University of Alabama at Birmingham alumnus, where he obtained degrees in biology and anthropology. He has always held an interest in animals and nature, particularly reptiles, so naturally, he pursued research pertaining to ecology. He began working in Warner’s evolutionary ecology lab as an undergraduate at UAB, where he conducted an independent research project with brown anole lizards. His graduate research focused on determining whether seasonal changes in temperatures experienced during incubation have season-specific fitness consequences in the brown anole. Currently, he is continuing research as a lab manager for Assistant Research Professor David Steen, working with snakes and tegu lizards. He has a special interest in teaching at a university level and plans to pursue a doctorate in the future. He has also recently developed an interest in science communications and learning more effective ways to educate non-scientists about research and other important scientific principles. The undergraduate recipient of the Dean’s Research Award is Claire Zhang, who is a senior pursuing a bachelor’s degree in mathematics. Because of her interest in undergraduate research, she participated in the 2015 Auburn University REU Program in Algebra and Discrete Mathematics under the guidance of Alumni Professor Pete Johnson and Professor and Assistant Provost for Special Projects and Initiatives Overtoun Jenda. Her primary research focused on anti-Ramsey problems in graph theory, particularly on edge colorings of complete bipartite graphs which forbid rainbow cycles. In January 2017, she and Johnson published a paper in Theory and Applications of Graphs detailing her findings obtained during the REU. Zhang also attended the 2016 SAMSA Masamu Conference in Mathematical Sciences at the University of Pretoria in South Africa, where she worked with math professors and students from around the globe on problems in graph theory, algebra, and math biology. 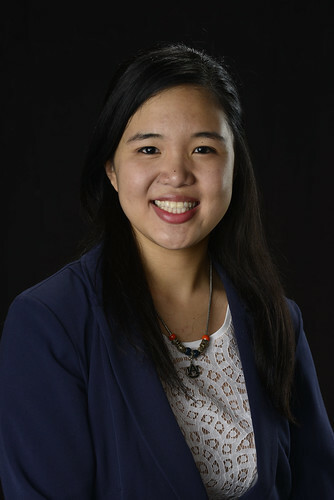 While research has been an important aspect of her undergraduate career, Zhang discovered early on that her true passion ultimately lies in education. Through her experiences as an Auburn University SI instructor, an Honors Serves ACT Facilitator at Auburn High School, and a general math tutor, she has developed a love for sharing the beauty of math with the younger generation, and found great reward in forming long-lasting, personal relationships with her students. After graduation, Zhang will move to Daphne, Alabama, and begin a new job as an upper school math teacher at Bayside Academy. There, she hopes to inspire and truly touch the lives of her students in the same way that her Auburn professors have done for her. Mark Liles, professor in the Department of Biological Sciences, was recognized with the Young Faculty Scholar Award. Liles conducts research in the field of microbiology. He got his start in science 30 years ago as a biology student at Tulane University studying ways to prevent age-related changes to the human retina. He then obtained his doctorate in microbiology at Northwestern University studying the bacterial pathogen that causes Legionnaires’ Disease. His research interests in microbiology and preventing infectious disease led him to the University of Wisconsin-Madison, where he worked on discovering antibiotics from complex communities of microorganisms (“metagenomes”). Biological Control of Disease: Beneficial microorganisms have been identified that can prevent disease in animals and plants, including the discovery of a probiotic that produces a novel antibiotic Bacillusin A that has been shown to prevent infection due to methicillin-resistant Staphylococcus aureus in a mouse model. Studies on the pathogenesis and control of virulent Aeromonas hydrophila in aquaculture: Since 2009 a highly virulent strain of Aeromonas hydrophila has caused the loss of over 21 million pounds of farmed catfish in the state of Alabama and has now spread to other southeastern states. Working with collaborators in the School of Fisheries, the Liles lab has developed a vaccine to prevent disease due to A. hydrophila and identified unique aspects of the pathogen that contribute to its heightened virulence. Metagenomic analysis of microbial communities: By directly isolating, sequencing and expressing DNA from diverse microorganisms isolated from soils and other natural environments, the Liles lab has identified novel antibiotics and other natural products. Liles has published 87 peer-reviewed journal articles and over 100 published abstracts, and secured more than $4.6 million in extramural funding from a variety of federal, corporate, and international sources. In 2016 he cofounded the biotechnology company Varigen Biosciences, which recently received a National Sciences Foundation SBIR grant. Dean Giordano also announced that Andras Bezdek, the C. Harry Knowles Professor of Mathematics, is the recipient of the 2017 COSAM Faculty Service/Outreach Award. 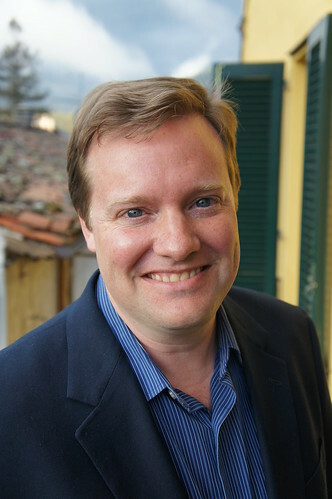 Bezdek will be presented with his award at the fall Dean’s Leadership Council meeting.